What role for Democratic 'super-delegates'? Gov. 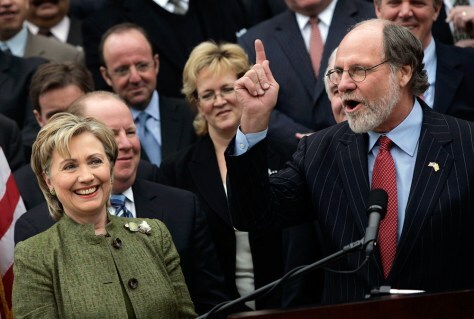 Jon Corzine of New Jersey proclaims his support for Democratic presidential hopeful Hillary Clinton in Elizabeth, N.J. on April 2.